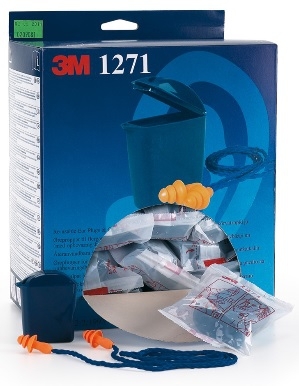 3M 1271 reusable ear plugs. 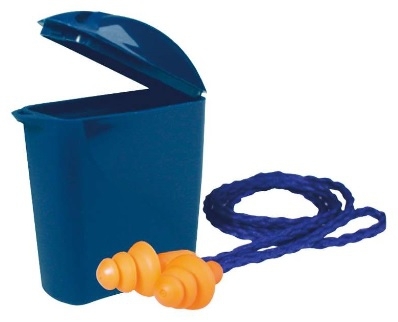 Soft polymer pre molded reusable ear plugs with a polyester cord and a storage case. 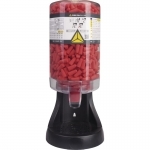 This type of hearing protectors are usually used for prolong staying in noisy environments. Easily cleaned with soap and water. SNR: 25 dB.